Whether you’re a building a new website from scratch or overhauling an existing site, it’s always helpful to look to other sites for inspiration. Since you want to stand out and emphasize your own brand, simply copying a competitor’s site isn’t going to yield the results you want. But what can help you out is looking at what design trends are popular among other sites and then finding unique ways to integrate the best trends into your own design. Before we go any further, it’s worth noting that when it comes to web design trends, there are actually two different categories. 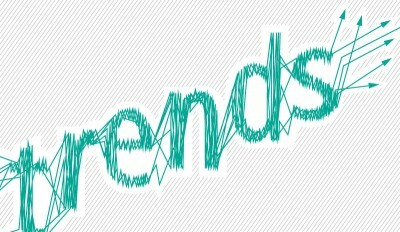 The first category consists of trends that are nothing more than a flash in the pan. While they may seem cool right now, they’re not going to stand the test of time. As you may have guessed, you can safely ignore trends in that category. In fact, ignoring them is the best thing you can do for your site. Although the idea behind mobile website design makes sense, the execution is generally lacking. Instead of providing an experience that’s optimized for smaller devices, mobile designs often require visitors to struggle with limited options that prevent them from finding what they actually want. The great thing about responsive design is it doesn’t limit visitors in that way. Instead, it simply optimizes the flow of their activity regardless of the specific device they’re using. An added benefit is once a website is converted to a responsive design, you don’t have to worry about whether or not it’s going to look good on new devices that hit the market. Adding more content to pages is almost always a good thing. Not only does it provide visitors with a richer experience, but it can also help with how well that page ranks in search engine results. The only downside is that since longer content requires more scrolling, if someone is halfway down a page and decides they want to search for something, standard design means they’ll have to scroll all the way back up to get to the search box. The great thing about a fixed header bar is it solves that problem in an aesthetically pleasing way. Not only can you provide instant search box access regardless of how far someone has scrolled down a page, but you can do the same for your site’s other key navigation links. If your business sells a product, the best thing you can do is highlight its key features directly on the homepage. For a really compelling way to present your product’s best features, consider creating a 30 to 90 second product tour video at the top of your site’s main page. Although there are definitely other 2013 web design trends, since many are nothing more than short-term fads, you can save a lot of time by ignoring their hype and only focusing on the few trends that can help the performance of both your site and your business. Posted in Web Design. Tags: responsive web design, web design tips, web design trends 2013.